It’s somewhat tradition for oil analysts to produce a flurry of new forecasts after every sharp move in prices, and the latest rally in WTI and Brent is no exception. In just the last couple of days we’ve seen one analyst predict prices of $80 per barrel, while a panel of several other analysts forecast a price drop if OPEC ends its production cut deal as planned in March 2018. Now Citi has joined in with a warning: whatever OPEC does, supply will likely get tighter next year. That’s in stark contrast with the general mood, which is a constant worry that the moment OPEC announces the end of its deal, its members will turn the taps back on and start pumping that oil to levels well above the current quotas. According to Citi’s Ed Morse, the head of the bank’s commodity research, five OPEC members are already pumping at capacity, and a production increase is therefore unlikely. The members that Morse believes will lead the supply crunch are Iraq, Iran, Nigeria, Venezuela and Libya. All of these, bar Venezuela, have announced plans for a ramp-up of their oil output. All of these, at the same time, face problems in ramping up production, but these problems don’t all come down to insufficient investment, which Morse blames for the pumping-at-capacity scenario. Related: Oil Prices At A Ceiling, Or Just Getting Started? Venezuela is in disarray and in no condition to expand its oil production. Nigeria and Libya have suffered numerous militant attacks on oil infrastructure, and it’s expected to continue. Despite these persistent and grave challenges, both Nigeria and Libya have plans to increase production. The Nigerian Petroleum Development Company, for example, recently said it plans to raise its production in the Niger Delta by 320,000 bpd by 2020. Nigeria’s total could grow to 4 million bpd by that year, according to plans announced by oil minister Emmanuel Ibe Kachikwu. These plans depend largely on foreign investment, with the federal government having recently praised several supermajors for undertaking further investments in Nigeria’s oil industry. Iraq, which Morse said might lose more investments because of its unappealing contractual terms for oil companies, has been the black sheep in the OPEC herd with regard to the production cuts. It has been a challenge for the cartel’s second-biggest producer to reduce its output to what the Vienna Group allocated to it. This suggests that Iraq is not pumping at capacity. At the same time, if Shell quits the Majnoon field, others may follow—stripping away production capacity. Iran, too, has plans to increase oil production with the help of foreign companies, but it has warned that exports may be limited in the coming months because of growing domestic demand. Even so, Tehran has plans for a daily output of 4 million barrels by the end of March 2018. We should not underestimate the spare capacity in the new swing producer—the United States—the energy analyst said. U.S. oil output is up nearly 780,000 bpd since the start of the year, and shale producers are collectively holding an “inventory” of more than 6,000 drilled but uncompleted wells. In the event of a supply crunch, the right price signal will trigger the fracking of these wells to flow additional oil within a matter of days. OPEC members may or may not be producing oil at maximum capacity, but big oil companies are unquestionably short of reserves and new discoveries. These new discoveries and reserves could come from some of the OPEC members above or they could come, at much greater risk, from hitherto untapped potential deposits. Even if Citi’s commodity research head is right and there is a supply squeeze around the corner, chances are it will neither be as serious nor as prolonged as he suggests. Unless Russia and U.S. shale producers suddenly stop pumping, that is. Thumbs up for Citi's analysis here, good to see an investment banking corporation having a clear understanding of the oil market. A few days back UBS upgraded the biggest deepwater drilling contractor to "buy", which is another sign banks are waking up. 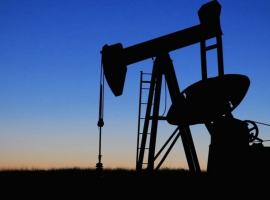 "“inventory” of more than 6,000 drilled but uncompleted wells. 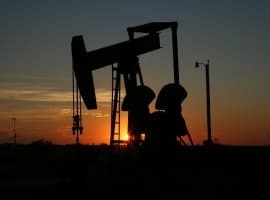 In the event of a supply crunch, the right price signal will trigger the fracking of these wells to flow additional oil within a matter of days." That's not right, that is completely wrong. 70-80% of investing in fracking wells goes to the fracking. Fracking crews and equipment are even more a bottleneck, as transportation. You must transport more than 10.000 tons of sand and water into arid places, pump this in an exact choreography into the hole even when the place is "at the end of the world". That's much more effort than planting up the drilling tower and getting the casing. After this you must handle the returning fracking water - first the well will spit out lots of the fracking water without the sand, which is contaminated with oil and poisonous metals and must be handled. A modern frack is more like 1.5-2 million$ for drilling and 6+ million $ for the frack job. And many of these unfracked wells are left behind because for example the neighbour well was a dud, or only drilled to hold a lease.